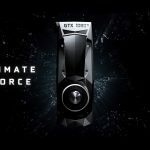 NVIDIA has launched its flagship gaming GPU “GeForce GTX 1080 Ti” based on NVIDIA Pascal architecture. It is a latest addition to the ultimate gaming platform. The card is packed with extreme gaming horsepower, next-gen 11 Gbps GDDR5X memory, and a massive 11 GB frame buffer with 3584 NVIDIA CUDA cores and 12 billion transistors. It is expected to be the worlds most advanced GPU architecture. Powered by Pascal, GeForce GTX 10-series graphics cards deliver up to three times the performance of previous-generation graphics cards. Moreover it provides latest gaming technologies and VR experiences. It gives you an amazing speed and power efficiency. This unique edition is crafted with premium materials and components including a die-cast aluminum body and 7-phase dualFET power supply. It gets cooled by a radial fan with an advanced vapor chamber designed for consistent performance in even the most thermally challenging environments. The NVIDIA Ansel in VR allows to capture and create in-game screenshots that can be viewed in 360 degrees. The screen shots can be composed from any position and can be adjusted with post-process filters. 4K HDR images can be captured in high-fidelty formats and can be shared in 360 degrees using a mobile phone, PC or VR headset. The GeForce GTX 1080 Ti is expected to be the final product under the umbrella of Pascal architecture before NVIDIA unveils their new Volta architecture.